Support power network, which can completely bypass the influence of load-bearing wall on the network, and is suitable for most of ordinary families. Support Gigabit networking, HUAWEI WiFi Router Q2 Pro supports 1Gbps.hn power line communication protocol and self-developed PLC Turbo technology, can achieve high-speed expansion of 200M fiber broadband, can fully play the strength of family high-speed broadband. The price is very favorable, compared to the price of foreign brands 2000+, the price of HUAWEI WiFi Router Q2 Pro parent-child routing kit is only 799 CNY, and the subsequent sub-routes can be purchased separately for the second time. The design of HUAWEI WiFi Router Q2 Pro parent-child router is elegant and simple, the pure white body and matte feel low-key and connotation. The built-in antenna design makes it easy to place anywhere in the home, which is an excellent product in the router market. The child router continues the elegant design of the parent router, and the volume is only one-third of the parent router, which can be inserted into the wall plug separately. Many of my friends saw it as a smart speaker, and they all said it was beautiful. HUAWEI WiFi Router Q2 Pro is not only simple in design, but also simple in terms of functional lines. For example, three Gigabit Ethernet ports that support blind insertion and the “H” key for one-click connection to smart devices. These simple designs are all in order to make the user operate the router as simple as possible. The child router can be automatically paired as long as they are plugged into any wall plug in the same meter as the parent router, which is simple enough. At the same time, the child router is also equipped with a 1000M network port. 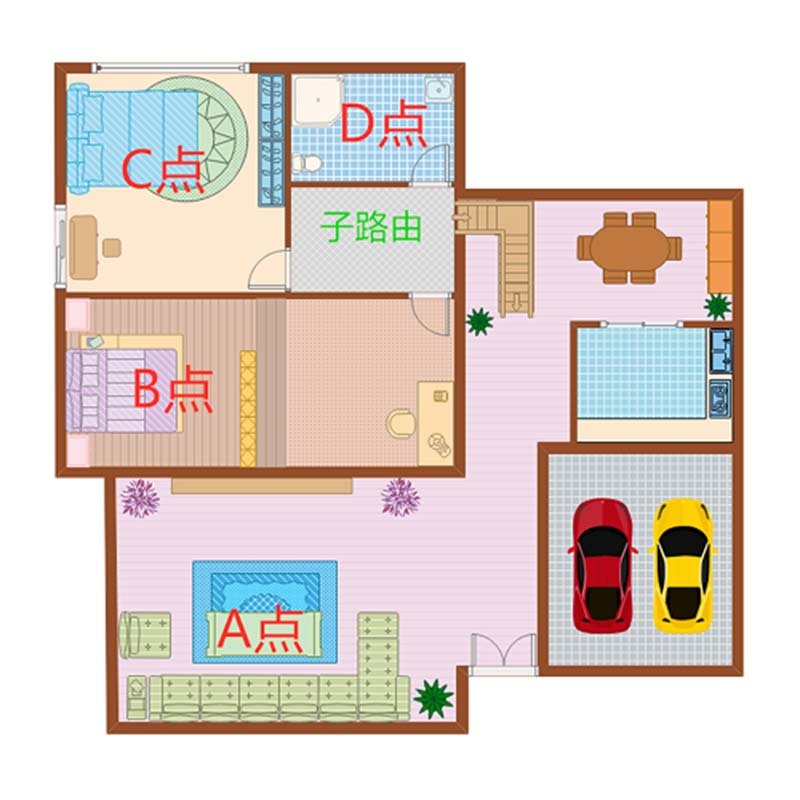 The picture below shows the layout of my home. When using a single router, the speed of the C where the master bedroom is located and the speed of the location D where the bathroom is located are not fast. I can only view the news as there is a significant delay when watching videos online. 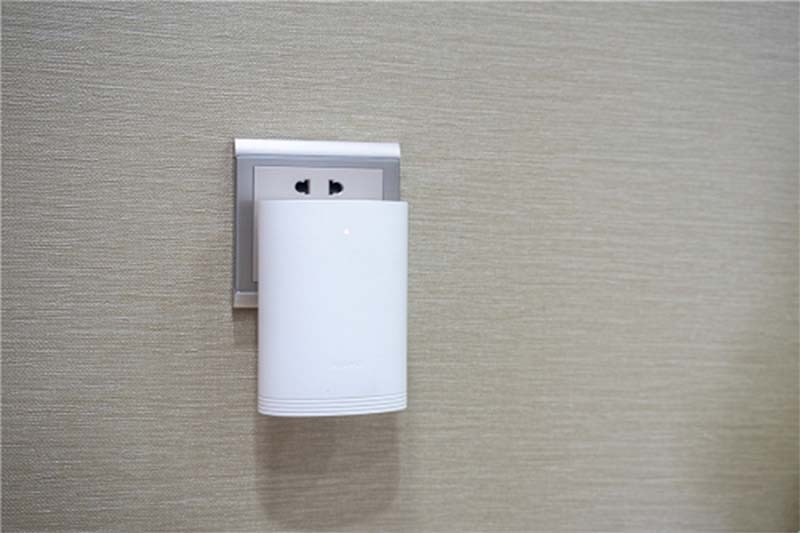 After purchasing the HUAWEI WiFi Router Q2 Pro, the parent router is still placed in the living room, and the child router is placed on the wall of the bathroom aisle to test the specific network speed. A (living room): Because the main route is in this position, and there is no occlusion, so the network speed is very fast. The speed of 239Mbps exceeds the nominal 200M broadband, so there is no need to introduce more. B (second bedroom): There is only one wall here. Although the speed of the network is a bit down, the overall experience is still good. The speed of 211Mbps can be used smoothly regardless of video or game. C (main bedroom): The previous network quality is not high as the speed only 89Mbps and unstable. We can only view the news before going to bed, watching the video intermittently. 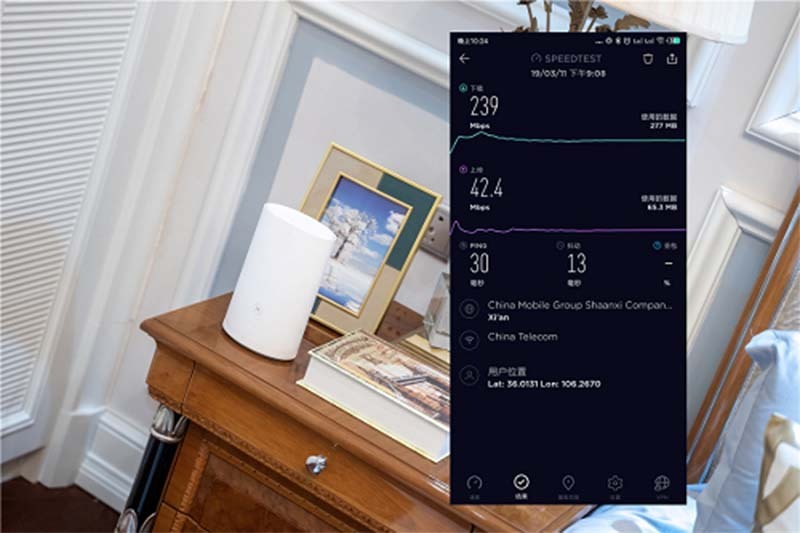 Now because of the network extension of the child router, you can see the speed reached 224Mbps, My wife said that she could finally watch the TV smoothly at night. D (bathroom): The quality of the bathroom network was very poor. 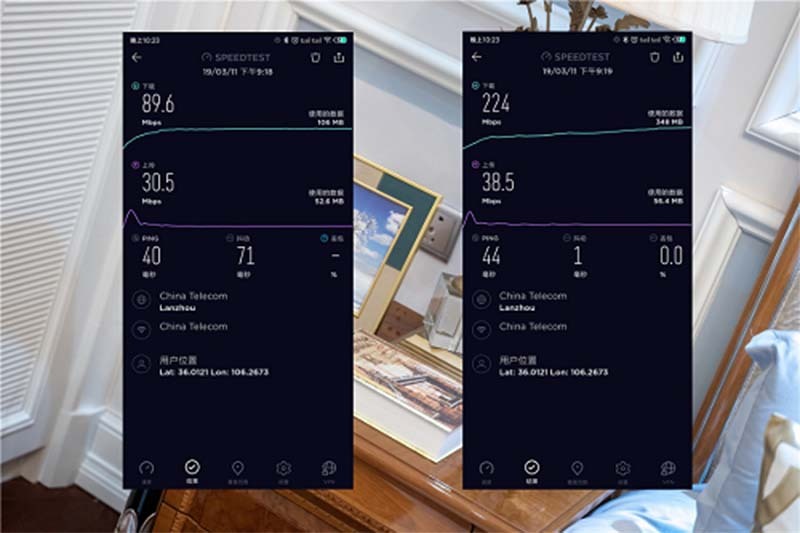 The speed of 17.5Mbps was basically unusable, so the family went to the bathroom very quickly (because it could not play the phone), now because the sub-route is inserted in the wall of the bathroom aisle, so the network quality has changed dramatically. The children sometimes go to the bathroom to play games, and they play for half an hour. 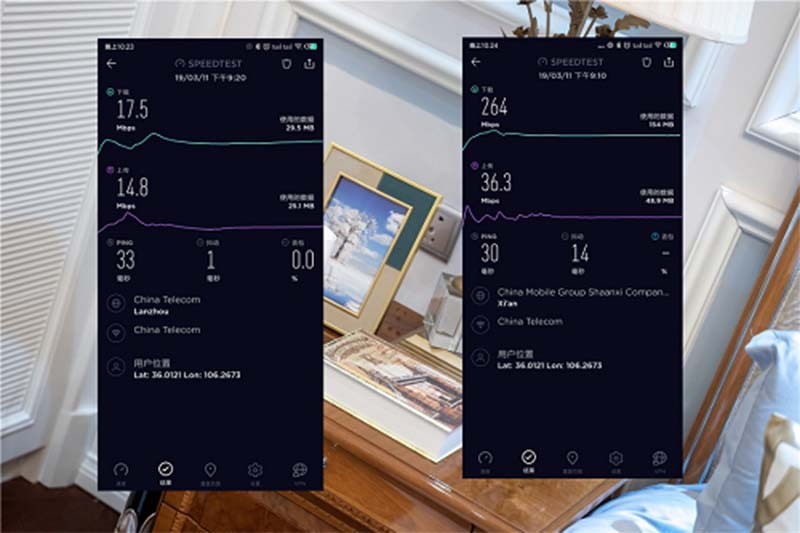 During the period of using HUAWEI WiFi Router Q2 Pro, my family clearly felt the benefits of improving the quality of the home network. In the case of 5G coming soon and Gigabit broadband entering the home, upgrade the home network is a thing that must be do. Supporting Gigabit, stable performance, and easy expansion are the necessary functions of the current home router. At the same time, it has excellent design and support for IPv6. It can be said that HUAWEI WiFi Router Q2 Pro is the best product for upgrading the home network, which will not be eliminated by the market in the next 5-8 years. 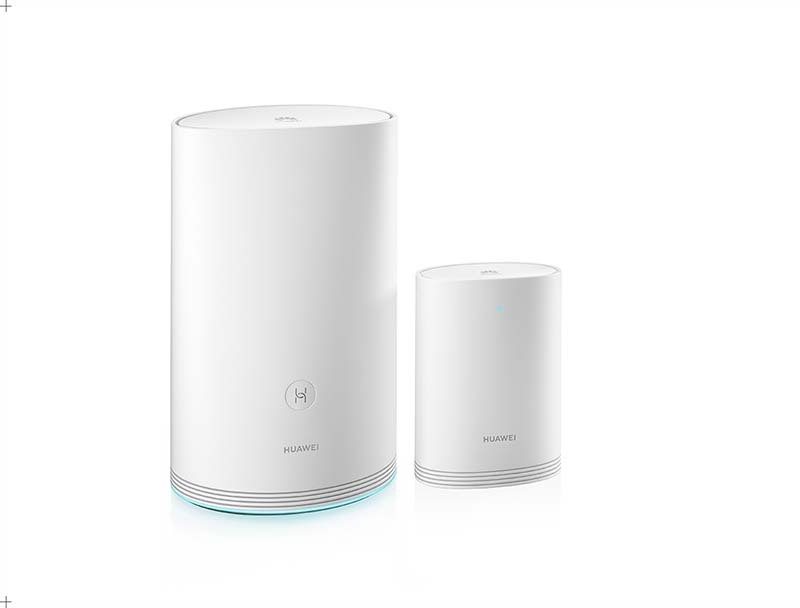 In 2019, a distributed parent-child router like HUAWEI WiFi Router Q2 Pro will become one of the main recommended directions for high-end routers. Many domestic router vendors will follow up, but considering HUAWEI 's global leading strength in network communication, it is estimated that in the most recent year, it is difficult for other manufacturers to launch new products that are more competitive than HUAWEI WiFi Router Q2 Pro at the same price. If you have plans to upgrade your home network recently, don't hesitate to buy HUAWEI WiFi Router Q2 Pro, which is the most cost-effective solution at the moment!